Singapore: Brent crude was steady above $113 a barrel on Friday, after sharp gains in the previous session, as lingering concerns over Europe’s debt crisis prompted investors to remain cautious. Brent crude lost 17 cents a barrel to $113.54 by 12:34pm, after settling Thursday up $1.40. 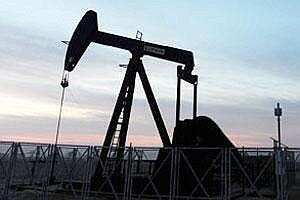 US crude traded 18 cents higher at $97.96 a barrel, after closing at a 15-week high of $97.78. Oil prices rebounded on Thursday on progress in Italy’s efforts to solve its debt problems, but the lack of a concrete plan to tackle the crisis has capped gains in riskier assets, analysts said. “We had some good news yesterday from Italy on their bond sale, but the oil market is trading from headline to headline," said Ben Le Brun, market analyst at OptionsXpress in Sydney. “Right now there’s not enough to give investors a clear direction for prices." Asian shares rebounded modestly and the euro clung to tentative gains after debt-laden Italy was able to fund itself at a bond auction. The prospect of Italy buckling under its €2 trillion debt load has raised fears over Europe’s 2-year-old crisis to a new level, because the euro zone’s bailout fund is not big enough to rescue the bloc’s third-largest economy. Positive economic data out of the United States also supported prices, as new claims for unemployment benefits fell last week to their lowest since early April, and the trade deficit unexpectedly shrank in September. Technical charts show Brent oil is expected to revisit the previous trading session’s low of $111.30, while US oil faces strong resistance at $98.91 per barrel that may end a rally that started from the October low of $74.95, Reuters market analyst Wang Tao said. Market participants continue to monitor developments in the Middle East and North Africa for signs of changes to global crude supply. The European Union may impose new sanctions against Iran within weeks, after a UN agency said Tehran had worked to design nuclear bombs, EU diplomats said. “We continue to believe that the risks of a regional war involving Iran remain low. However, this risk has risen since last year," analysts at Barclays Capital said in a research note. “Other than the ratcheting up of sanctions...the key fear in the oil markets is the potential closure of the Strait of Hormuz, given that it is the sole waterway leading out of the Arabian Gulf," the report said. International action against Syria is already starting to take its toll on the oil producer, after Royal Dutch Shell and Total slashed oil production in the country as sanctions make exports impossible. However, rising Libyan production could make up the shortfall, as output is expected to climb to over 700,000 barrels per day (bpd) by January and return to pre-war levels by about June, according to acting prime minister Ali Tarhouni. On the demand side, global oil consumption will be a bit lower than expected this year and next as economic slowdown and high prices curb consumption but the oil market is strong and supply remains tight, the International Energy Agency (IEA) said on Thursday.